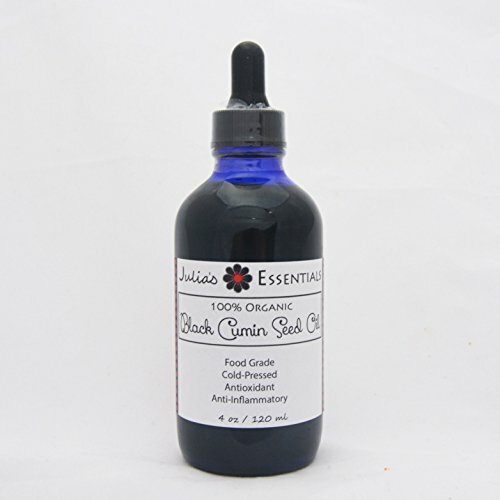 Black Cumin Seed Oil (Nigella sativa) is a member of the buttercup family. When whole, the seeds are dark, thin, and crescent shaped. They contain more than 100 chemical compounds, some of which are still unidentified. It is known for its incredible healing properties. The primary active compound in black cumin seed is crystalline nigellone. Other important active ingredients include: Thymoquinone Beta sitosterol Myristic acid Palmitic acid Palmitoleic acid Stearic acid Oleic acid Linoleic acid Linolenic acid Arachidonic acid Protein Vitamin B1 Vitamin B2 Vitamin B3 Folic acid Calcium Iron Copper Zinc Phosphorous Black Cumin Seed Oil (Nigella sativa) is a widely used medicinal plant throughout the world. 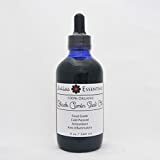 Due to its amazing abilities, it has gotten a place among the top ranked evidence based herbal medicines. There are hundreds of articles on Pubmed proving that it works! 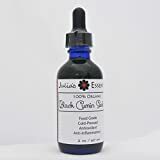 Properties of Black Cumin Seed Oil include immune stimulant, hypotensive, anti-inflammatory, antioxidant, hypoglycemic, spasmolytic and bronchodilator have been shown. Amazing Herbas 100% Pure Black (Cumin) Seed Oil capsules are a rich source of unsaturated essential fatty acids (EFA's) and offer many nutritional benefits for good health.